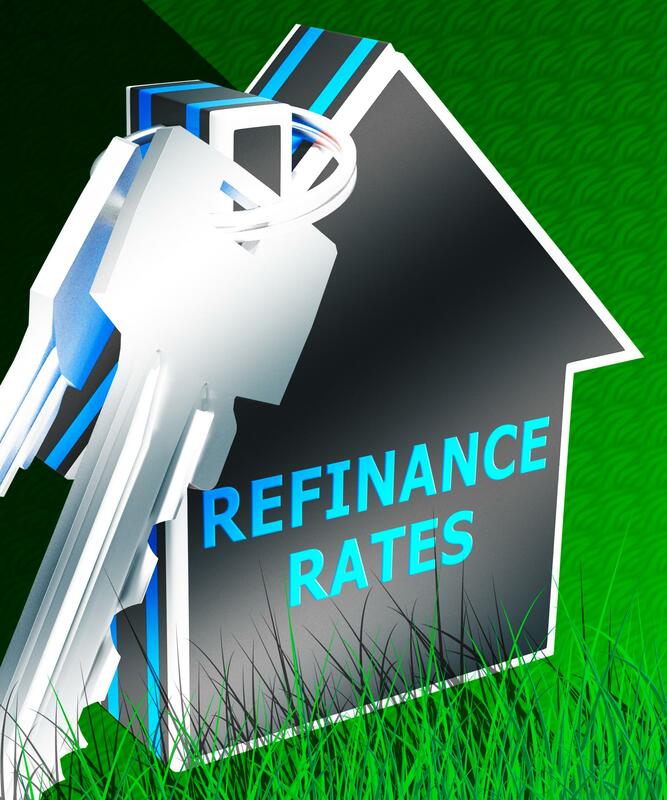 Are you thinking about refinancing and want to know how to get the best refinance rates for your mortgage? There are many excellent reasons to refinance a mortgage. Some people refinance to take advantage of lower interest rates. Others want to convert from an adjustable rate mortgage into a fixed rate home loan. Still, others hope to use the extra money to pay for things like college and home renovations. Whatever your reason, you can help make sure that you get top-flight loan terms. Do you realize that one of the most critical factors in qualifying for low-interest rates is your credit score? Lenders look for high credit scores because a high score tells them that you’re an excellent credit risk. Your credit score comes from a credit report that one of the three major credit reporting companies, Experian, Equifax, and TransUnion, put together on you based on your credit history. The credit score shows what your credit history is at any given time. A high credit score results in the best refinancing rates. Don’t be disheartened by a mediocre one, since your credit history is always changing. Raising your credit score is possible. Pay more than the minimum balance on any major credit cards. Reducing credit card balances takes discipline, but the benefit to your credit score makes it worth the temporary discomfort. Experts recommend that you try to keep your credit card balances at no more than 25% of their credit limit. Get a credit report from Experian, Equifax, or TransUnion and carefully examine it for any errors. Unfortunately, misinformation in a credit report is common and leads to unfairly low credit scores for many people. Check your credit report and inform the credit reporting company of any mistakes in the report. Lower your overall debt load by reducing the balance, and paying off when possible, on any loans. In general, financial professionals suggest that you should aim for a debt to income ratio of no higher than 36%. That means, for example, that a homeowner with a take-home income of $3500 per month should pay no more than $1260 in debt payments each month. Whatever else you do, make sure that you pay your bills on time in the six months before you refinance your mortgage. Keep your original consumer credit lines open. So, for instance, although it’s helpful to reduce the amount you owe on a major credit card, your credit score might go down if you cancel the credit card. Remember: You save many thousands of dollars in refinancing your home loan with a top-notch credit score. Do you remember that when you purchased your house, the lender ordered an appraisal to make sure that the property was worth more than the loan amount? The lender appraised the property to ensure that they wouldn’t lose money if you failed to make your mortgage payments and they foreclosed on the house. Improve the curb appeal of the house through some simple maintenance tasks. Things such as cleaning the windows, mowing the lawn, pulling any weeds, and sweeping the front steps. Take a look at your home’s roof and repair any loose and missing shingles. Your home will not appraise well if the roof is not in excellent condition. Clean up the inside of your house and get rid of any clutter. Experts say that a tidy home can appraise for nearly 10% more than a messy house. Walk around each room and check that the outlets, lights, fans, and faucets work. Non-functioning electrical outlets could lead to an appraiser determining that there is a problem with the electrical system in the house. Ask your lender to use a local appraiser in your house. A local appraiser understands the real estate market in your area and is more likely to value your home correctly. All lenders are not the same. Of course, they vary in the types of refinancing loans and interest rates that they offer. However, did you know, for example, that lenders also charge different loan fees? There are so many different lenders providing refinancing loans that it’s worth it to take your time to find the lender who best fits your loan requirements. Homes for Heroes has an extensive network of affiliate lender specialists throughout the United States. Our affiliate lender specialists help heroes to obtain mortgage refinancing loans in their communities. In addition to striving to get the best loan terms possible for you, a Homes for Heroes affiliate loan specialist also saves you money in reduced lending fees. Sign up and we will connect you to a Homes for Heroes affiliate loan specialist in your area who will answer your questions about refinancing your home. Tip: Lender fees vary and can reach as high as 2% or more of the total loan. Homes for Heroes affiliate lenders have committed to reducing their lending fees for heroes. Interest rates and lender fees, while important, are not the only factor to consider when picking a lender. Remember that a home loan is a long-term investment. Make sure that you choose a reputable lender with an honest reputation for customer service. You will most likely have a question about your loan during the next thirty years, and it’s vital to your peace of mind that your lender is professional and responsive to your questions. Lastly, excellent mortgage refinancing rates are readily available to well-prepared homeowners. Get ready to take advantage of the low-interest rates by boosting your credit score, preparing for an appraisal inspection on your home, and picking an expert lender.